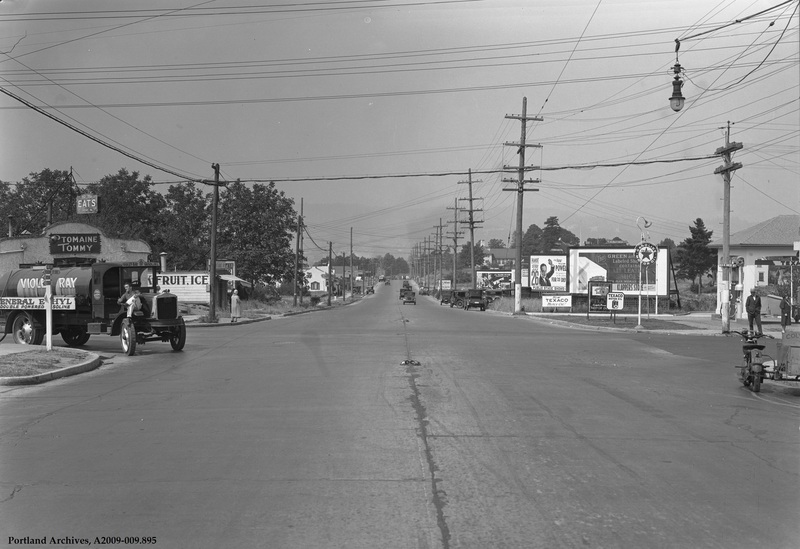 SE Powell Boulevard, looking west from SE 39th Avenue, circa 1932. 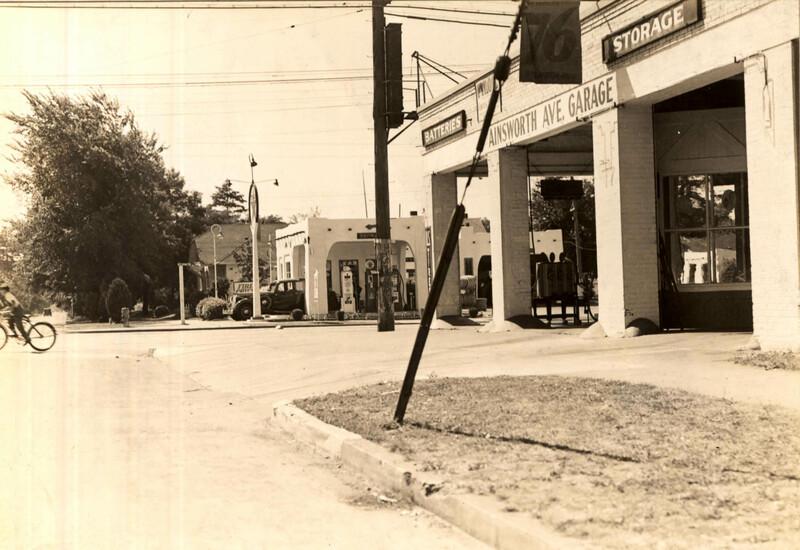 Ptomaine Tommy eatery is to the left of the image with a Texaco service station to the right. Monday’s photo at SE 39th and Belmont had so many comments that I thought this companion photo might be as well received. 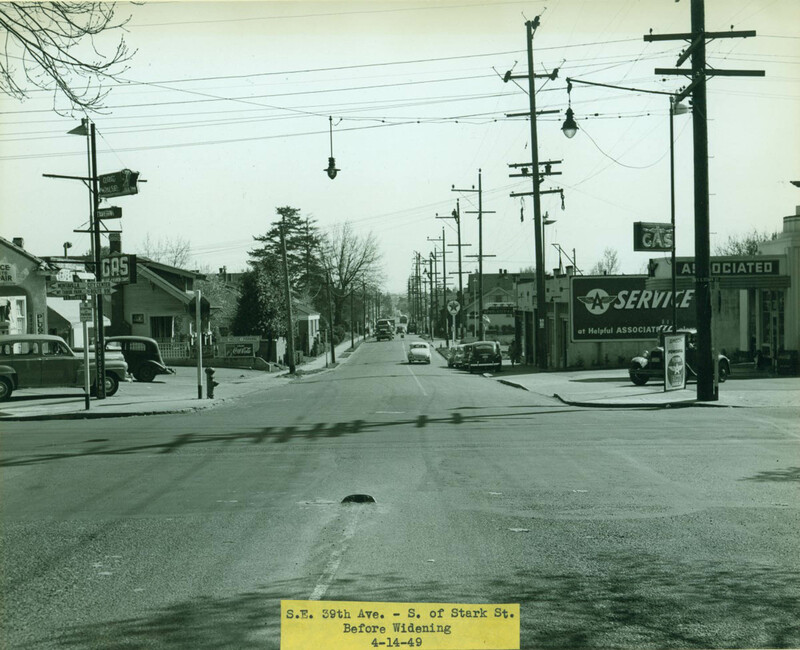 This was taken just a few blocks north, looking south down SE 39th at Stark Street on the same date. Those linemen can be seen rewiring the utility poles in this photo too. Yesterday’s discussion raised the possibility that the Anderson’s Food Market building still stands. This photo, taken on the same day (if the Meadow-Land delivery truck is any indication) shows the same intersection looking west. 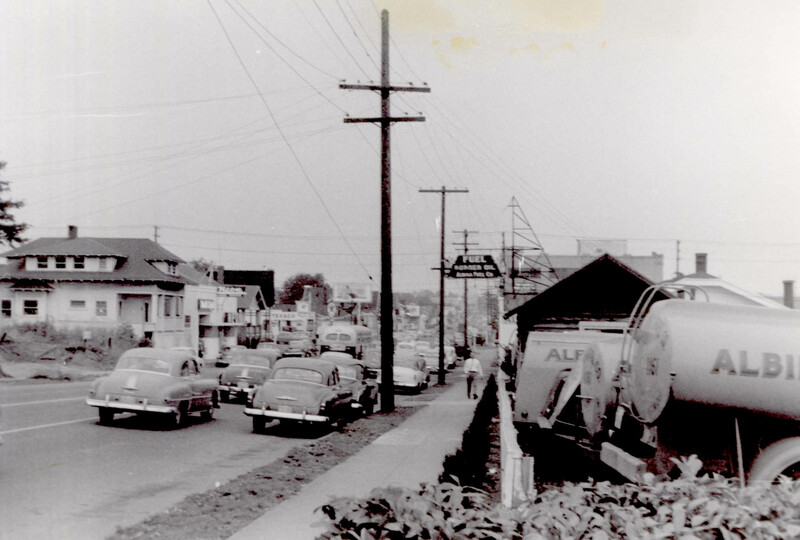 Anderson’s is definitely on the northwest corner, roughly where the KFC/A&W sits today. We’ve seen this intersection before but this view looks west on NE Ainsworth where NE Union passes through. 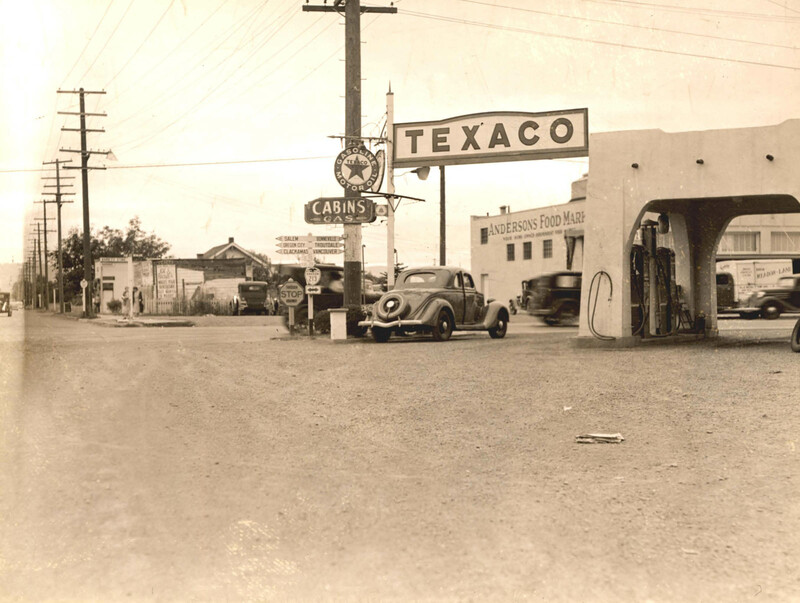 Both the Texaco and the 76 gas stations are long gone but the house on the north side of Ainsworth is still there. The lad on the bicycle, just barely captured for posterity, may still be with us, too. Albina Fuel has probably been gone from NE Broadway for many years now. Not much else looks familiar along this bit of street looking east of 32nd Avenue anymore either. It’s almost hard to imagine today’s Riverplace and South Waterfront areas looked like this almost a half century ago. 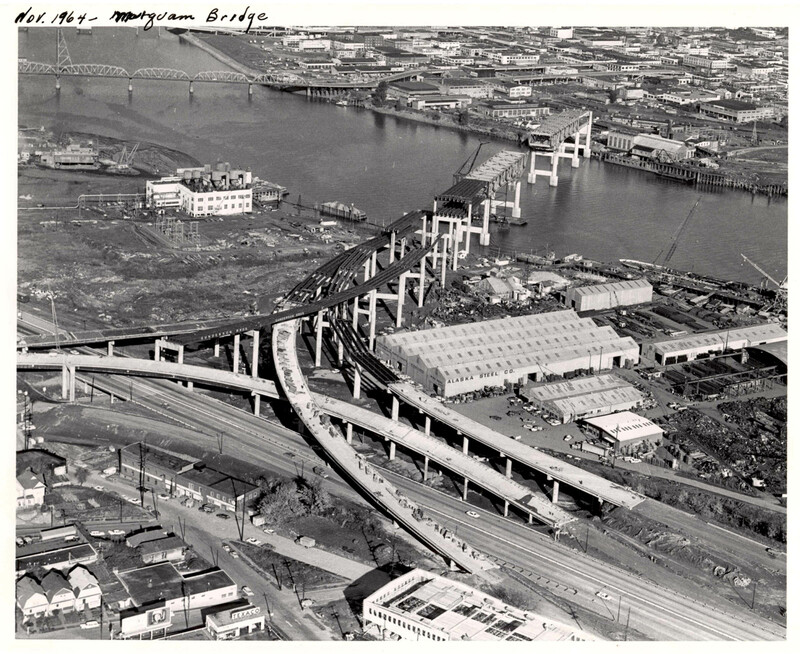 Construction of the west end of the Marquam Bridge passed over property that had seen highly industrial riverfront activity since Portland’s founding over a hundred years prior to this. The area once covered by Alaska Steel is still largely undeveloped but the SW Moody Project and TriMet’s light rail line signal further development. We’ve seen part of this building before in this previous VP post, this time we’re looking south on 72nd Avenue at Foster Road. 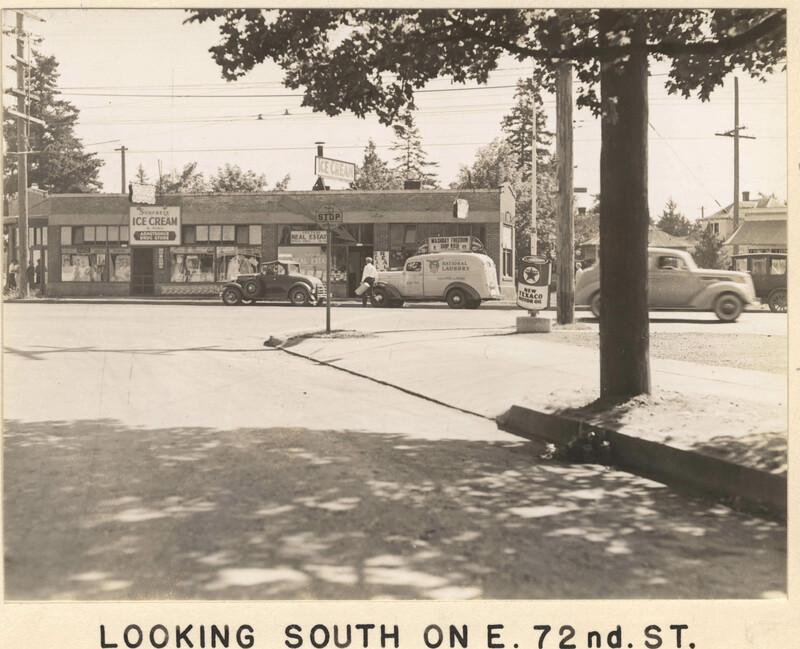 Ice cream and drug store, real estate office, laundry delivery and a gas station; typical neighborhood businesses on a sunny Portland afternoon in 1937. The scene is bleaker today as the building is long gone, and an empty lot sits in its place.